For the past 20 years, Atlanta producer Zaytoven has been one of the most prominent beatmakers in hip hop.To add to his lengthy list of achievements, including winning multiple Grammys, the producer announced yesterday that he’s signed a partnership deal with Motown Records. Without him, there’d be no Gucci Mane; at least not with the sound that Zaytoven helped him create. Through his groundbreaking work with artists like Future, Drake, Nicki Minaj, Rick Ross, Usher, and Lil Yachty, the 37-year-old producer has managed to withstand the test of time, constantly reinvigorating his sound, whilst keeping his signature aesthetic, to appease to the current generation of hip hop listeners. 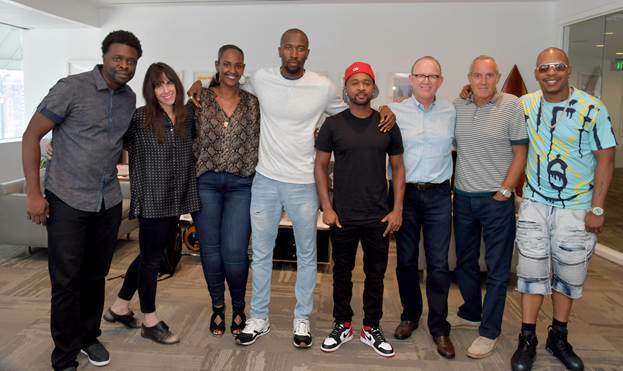 The partnership deal with Motown includes Zaytoven’s own Familiar Territory Records. Motown will release the music from the label. The move was highly praised from Motown and Capitol executives. “We’re excited to partner with such an innovative artist and look forward to helping Zaytoven and Familiar Territory’s vision come to fruition,” said Ethiopia Habtemariam, President of Motown Records. The announcement confirms, just as many expected, that Zaytoven won’t be slowing down anytime soon. He recently collaborated with Yung LA and Twista for “Pose To” which was featured on Adult Swim. What’s next for the superstar producer is anyone’s guess. This is great!!!!!!! Bring on that fire Zay!